Leading global supplier of specialist engineering coatings for the oil and gas industry, Surface Technology, is attending this year’s Offshore Europe event at the Aberdeen Exhibition and Conference Centre in Aberdeen, UK, from 3rd-6th September (Stand 2C29). Surface Technology, part of Norman Hay plc, has more than 40 years’ experience in the development and application of high performance surface treatments for a wide variety of applications, particularly within the oil and gas sectors in the UK and internationally. Andrew Courtney, Group Sales and Marketing Director of Surface Technology, comments: “Offshore Europe is a prestigious event and we are looking forward to showcasing our unique surface enhancement technologies with delegates, especially in line with the theme of future-proofing operations. “As an approved supplier to many of the leading industry OEM’s, we are ideally placed to provide technical advice and consistently high quality solutions. At the event we will be exhibiting our full range of product and application development capabilities, which now include thermal spray coating and selective plating through the acquisition of market leaders, ACI Ltd and SIFCO ASC. “SIFCO ASC is a world leader in selective plating, with extensive experience repairing equipment and enhancing OEM components within the Oil & Gas industry, including the selective plating of copper onto premium threaded connections and onsite repair of offshore platform components. For further information on Surface Technology, visit www.surfacetechnology.co.uk/ and www.sifcoasc.com. 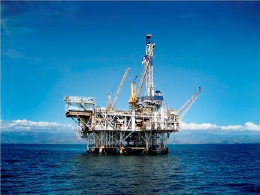 For details and to register for free entry to Offshore Europe, visit www.offshore-europe.co.uk.